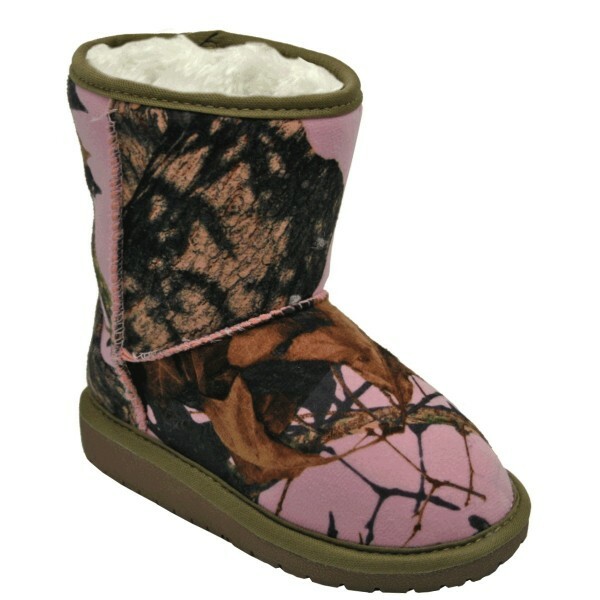 The little ones will look adorable in these Australian style boots with Mossy Oak Patterns for boys and girls. 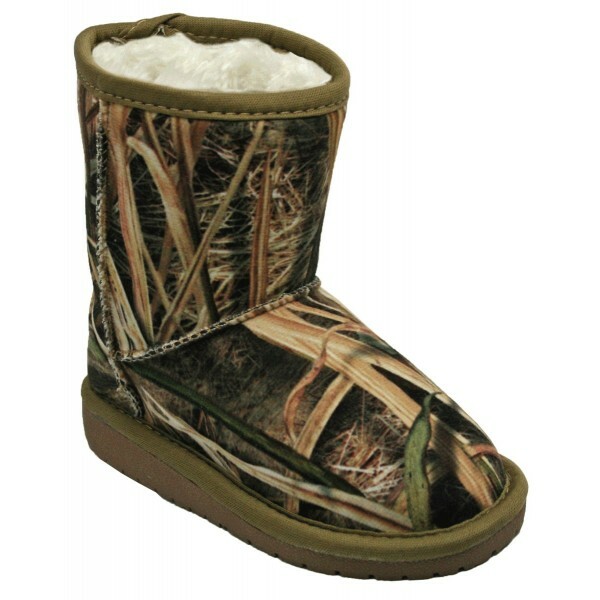 These soft boots with microfiber outer shell are not only fashionable, but great for any weather. Thick memory foam insoles for extra comfort, with plush faux shearling lining warms and keeps the foot dry. Comfortable slip-resistant rubber outsole is great on nearly any surface.